Hacienda del Lago is a premier property located in Vail Arizona...just minutes outside the Tucson city limits. We specialize in weddings, bridal and baby showers, birthdays, family reunion dinners, celebrations of life and more. Let us help you put together golf and party packages! Hacienda del Lago...where we help build memories! Wedding Packages Vary - Site fees reflected do not include food, beverage, tax and gratuity. Ask about our alternate packages that can accommodate smaller less formal events. Special Features: Del Lago Golf Club is a highly maintained 18-hole golf course with a full service restaurant. 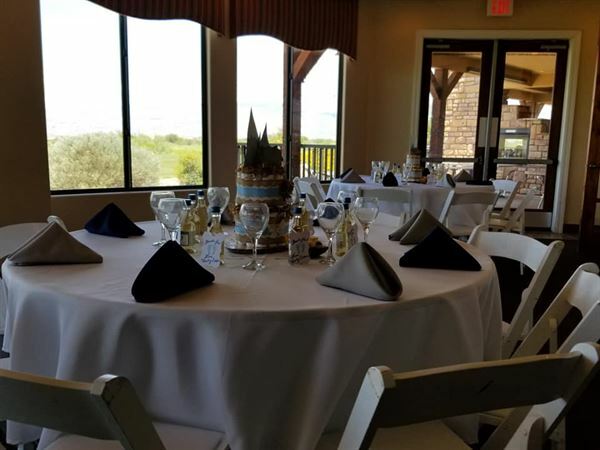 Hacienda del Lago is a full service restaurant as well as an event center hosting weddings, baby and bridal showers, all all types of celebrations!